People who know me also know that I get bored of my blogs very easily. It's not exactly the blog itself that I get fed up with, but the design, and even the name. For those of you who don't know me that well, I've had five or six blogs since my freshman year of high school (I'm a senior now), so yes, I do indeed have problems. I'm at that point in my life where I want to change literally everything about this blog right now, but I'm trying to be smart and resist the temptation. In fact, I'm sitting here eating Reese's Peanut Butter Trees and trying to dissuade myself of the notion. I think it's working. Anyways, I figured if I was having a crisis on Christmas, then you probably are too. You're probably sitting there going why am I following this person who never does anything? I agree, which is why I'm giving you guys a MERRY CHRISTMAS GIVEAWAY! It's been much too long since I've given away any books, and in truth, that's probably why I'm going a bit crazy right now. 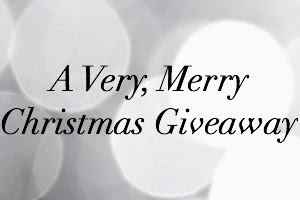 Besides, what better time than Christmas to act the Santa and give away some bookish presents, right? So without further ado, here's the giveaway (I hope you guys are as excited as I am)! The above five novels are ones that either I enjoyed or I have heard a lot of good things about and know that many other people want to read (if they haven't already). In fact, any of these that I haven't yet read, I will definitely get around to sooner or later. 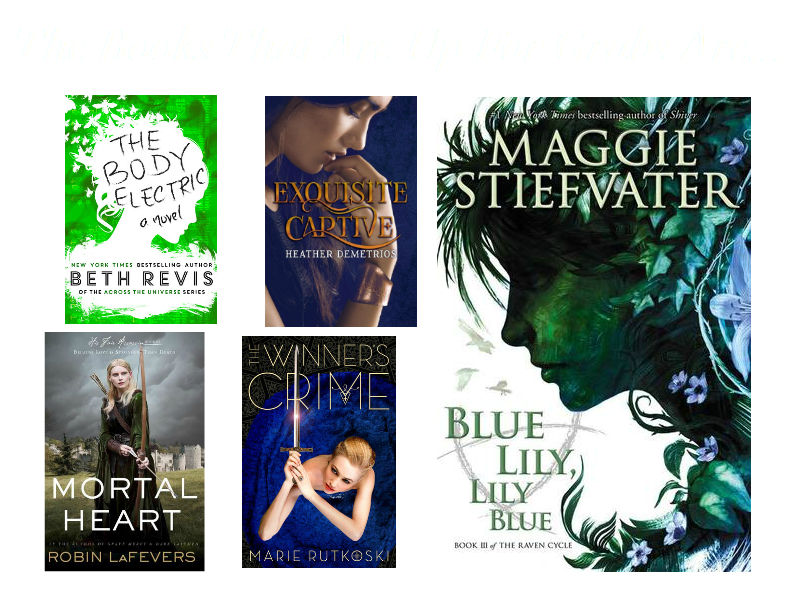 There will be a total of three giveaway winners in total, and each winner will win one ebook copy of the following: The Body Electric by Beth Revis, Mortal Heart by Robin LaFevers, Exquisite Captive by Heather Demetrios (AMAZING book by the way), The Winner's Crime by Marie Rutkoski (one of the best books ever, if I do say so myself), and Blue Lily, Lily Blue by Maggie Stiefvater. With five such gorgeous books ready for the taking, what reason is there NOT to enter, am I right? This giveaway ends on New Year's Day, so keep your fingers crossed until then! Well, that's all I've got for you guys this time, but I hope you enjoy it! 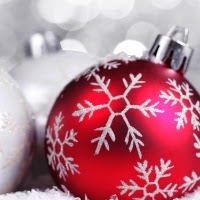 Good luck, and have a very merry Christmas!